A student is Mrs. Eaton’s class is clearly attracted to their GoAnimate lesson about magnets. One part of our county’s Design for Excellence plan has teachers incorporating blended learning into their curriculum. The goal of blended learning is to join face to face learning with on-line instruction. Working with second graders and technology can be difficult but they have been excited to use Edmodo and the Apps that I purchased for our class. Last year I created a video using the FREE version of GoAnimate and I was hooked, so GoAnimate for Schools was the first App that I purchased when they were made available to us in the Edmodo App store. I was very excited to get started on my “production” and got right to work on my script. Our class had been learning about magnets, and was ready for the final review prior to taking our test. In years past I would have sent home a paper study guide and the children would need to review it each night. Most students would glance at it once, the night before the test, and then insist they were done studying. I knew that the combination of an animated video and posting it on Edmodo would capture their attention. To incorporate blended learning I created an animation using our Essential Questions for Learning, information from our study guide, and experiments we performed in class and……. VOILA our Magnet review animation was created! The students loved watching the video and hearing the characters talk about experiments we had done in class. Their first opportunity to watch the video was posted through Edmodo as a homework assignment. They came to morning meeting at school the next day excited to talk about the video. I was excited to hear all of the content the students were able to share during their turn and talk time. The video was a hit! They did not realize that I had created the video and were amazed that the characters actually said my name and referred to experiments they had performed. For this production I did not record my voice but used text to speech and had a boy and a girl character discussing what they had learned during their magnet unit. For future videos I will record my voice as well as have students participate in creating the videos. 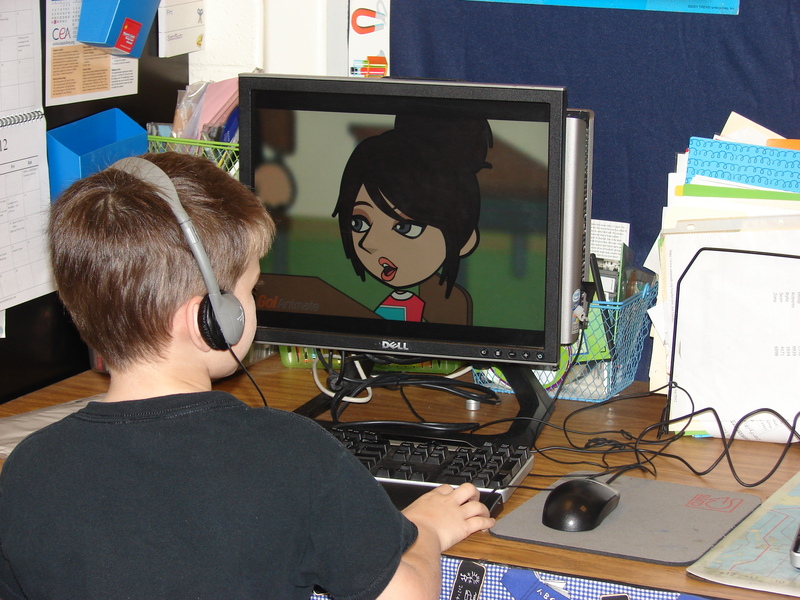 GoAnimate for Schools has enabled me to create a variety of animated lessons that can capture and hold the attention, as well as provide instruction in a blended learning environment, for 7 and 8 year olds. We are definitely attracted to GoAnimate! Click HERE to check out Mrs. Eaton’s lesson about magnets!